Locations & Zones. Simple. Powerful. 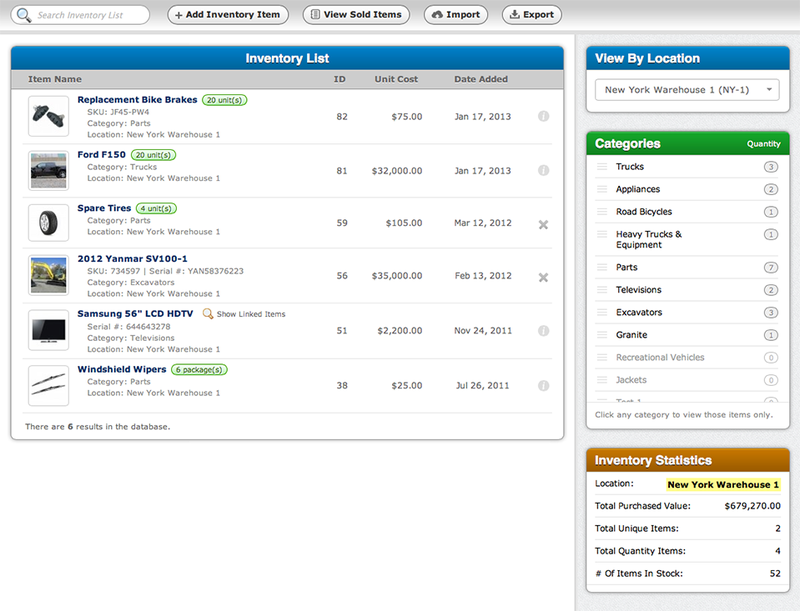 Track your inventory in multiple locations, organized by specific zones. While viewing your complete inventory list you can select one of your locations and view only inventory data for that specific location. If you have a lot of locations, viewing the locations list can be quite useful. It'll show you how much stock is currently available at each of your locations. Before you import your inventory data, you can also optionally select one of your locations (if you have multiple locations). This allows you to import different inventory lists from each of your locations and have that reflected in your SalesBinder account.